Doctors dressing up outfit age 3-6 years - spacekids - space toys, dressing up costumes, kids spacesuits, astronaut food, cool space stuff! A great dressing up costume for play or party! 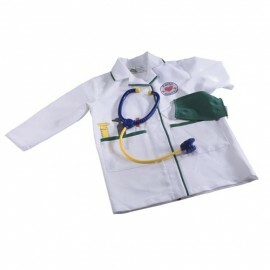 A doctor's coat with velcro fastenings, stethoscope and surgical face mask.